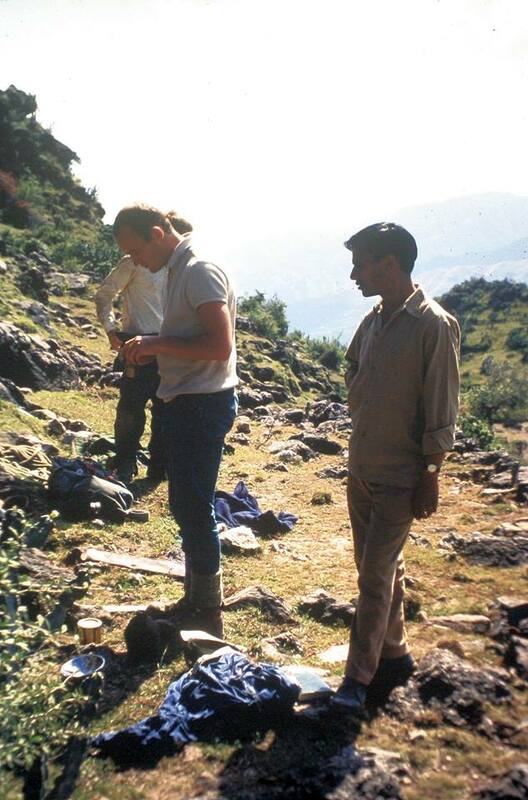 Rod, Mick and Jim left early in the morning to go to Bilaspur. Johnny, Dave, Trevor and I managed a lie in because we had arranged to meet Het-Ram at eleven o’clock in Arki. However, when we met him at the bus station it turned out that we had another hour to wait for the bus. The bus took us all the way to the village of Darla, a short distance from which was supposed to be the cave we were looking for. As it turned out the cave was only one and a quarter miles from the road and this being easy walking through one or two maize fields and a couple of farm houses. 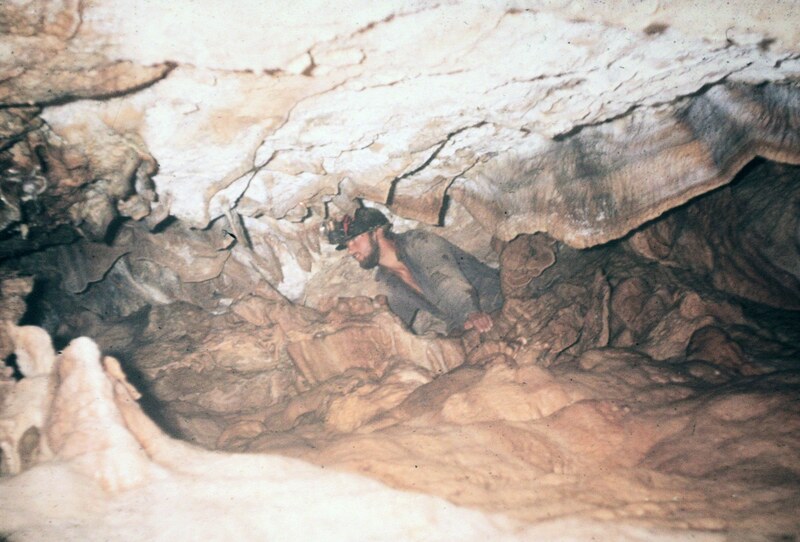 The cave was situated on the side of a hill, the entrance being a small hole between a couple of boulders. 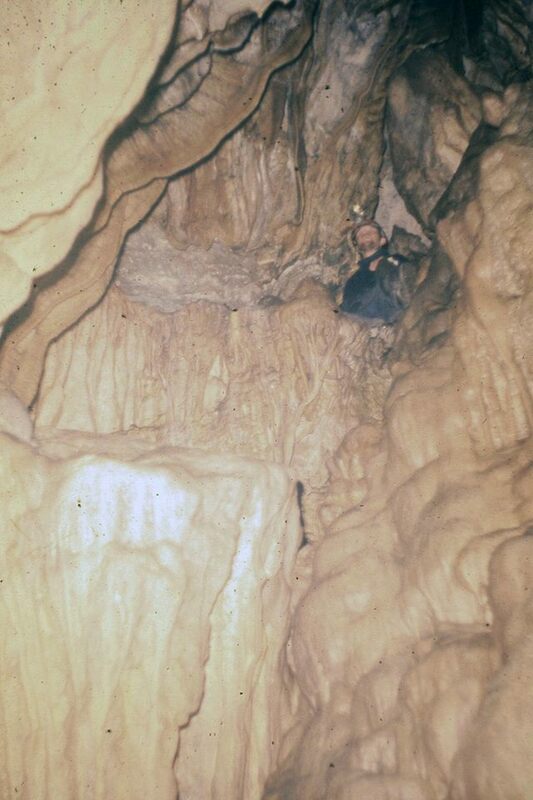 On entering the cave one dropped down about six feet or more and entered a small rift. 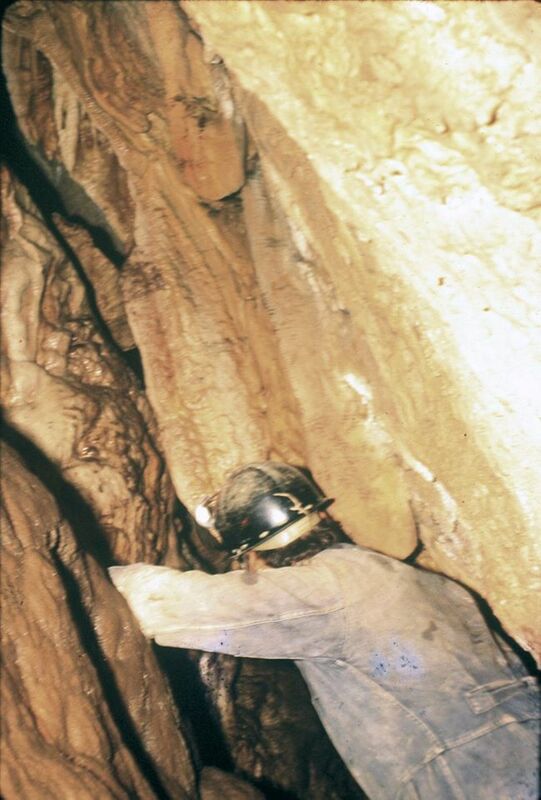 The bottom of the rift, which was bedded at about 70 degrees and soon became chocked by boulder and dirt and no progress, could be made to the right, one had to travers to the left. This traverse became a flat out crawling over and through jammed boulders until the rift opened out again. Here the rift was wide enough to probably be called a chamber. 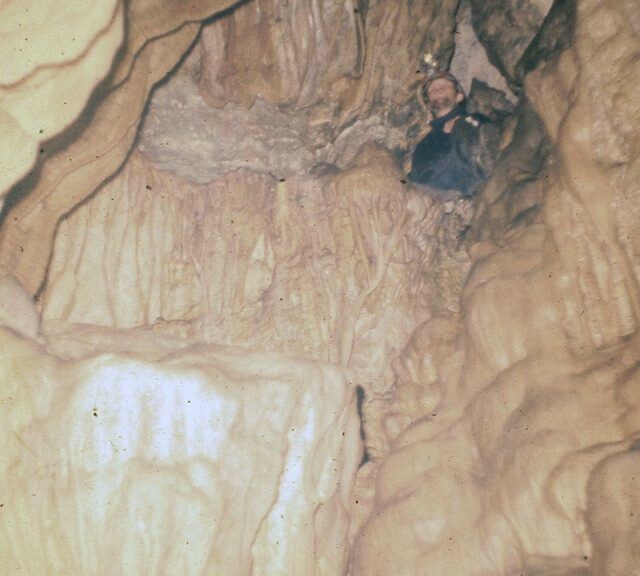 In this chamber you had to slide down through a narrow and rather awkward hole through jammed boulders and we used a ladder to make things a little easier. Again no progress could be made in the bottom of the rift. Traversing along the rift about 15 feet from the bottom the rift becomes narrow but it was possible, after banging one or two bits off the curtains to squeeze through into the next chamber. This squeeze however, was too tight for Dave and only Trevor and I could managed to get through, Johnny and Het-Ram being on the surface. The procedure of not being able to pass through in the bottom and traversing up in the rift then having to drop back down again was repeated a couple of times until eventually we could go no further. The whole system was very well decorated with flow stone and curtains and the general opinion was that it was the best find so far. On our way back from the cave Het-Ram had been talking to one of the locals and he told us of another cave in this neighbourhood. This cave however, was supposed to be three days long with a house inside. We therefore decided to return the following day to survey and photograph the one we had just been down and also visit the new one we had just been told about. By the time we had reached Shala-Ghat there were no more busses so we had to walk the rest of the way into Arki 4.5 miles. The weather was fine and sunny all day.